CHICAGO — In a “political earthquake” whose aftershocks may be felt all the way to the November elections, Democrat Bill Foster defeated Republican Jim Oberweis in a special election to fill the vacant seat of former Republican House Speaker Dennis Hastert in Illinois’ 14th Congressional District. Foster won the March 8 election 53 to 47 percent in what is widely seen as a resounding rejection of the Bush administration and Republican policies. Foster and Oberweis will face each other again in November for the full term. The cash-strapped Republican Congressional Campaign Committee had poured over $1.5 million into the race and even brought in presidential nominee John McCain in a bid to avoid embarrassment. Foster’s victory has alarmed Republicans over the prospect of a Democratic landslide in November. The 14th CD has been a Republican powerbase for the past 30 years, including the last 20 with Hastert, who was the longest serving Republican speaker in history. He had won reelection in 2006 with 60 percent of the vote, but his margins steadily narrowed over the years. 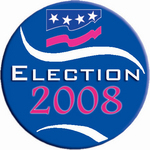 Bush carried the district with 56 percent in 2004. Ousted as House speaker on the heels of the Democratic Party victory in the 2006 congressional elections, Hastert abruptly resigned late last year. He is one of a record 29 Republicans who have quit in the face of a political climate that is increasingly hostile to the Republican ultra-right. The 14th CD stretches from the western Chicago suburbs almost to the Mississippi River. It includes suburbs and exurbs that carve out new housing developments in the endless farmland, but also light industry, an increasingly diverse population and growing poverty. The district has been the site of sharp battles against anti-immigrant hatred. Billionaire dairy owner and investor Oberweis is a right-wing extremist, perennial candidate and Republican laughingstock. He made the immigration issue a central part of his campaign. However, it turned out to be far down on the list of concerns expressed by voters. A political newcomer, Foster is a Fermi Lab scientist and businessman. He ran unabashedly against the Bush agenda, denounced the Iraq war, called for repealing the Bush tax cuts for the rich and opposed retroactive immunity for the telecommunications corporations for their part in illegal spying on American citizens. He ran on the standard Democratic immigration platform. Foster included Democratic presidential hopeful Sen. Barack Obama among his prominent supporters. Obama’s popularity in the district could signal his appeal in similar suburban and exurban districts were he to become the nominee. Foster’s election gives Obama another superdelegate. A solid coalition that put an army of volunteers on the ground backed Foster. The Illinois State AFL-CIO was a key factor in the election. “In a short span of three weeks, organized labor made more than 40,000 live phone calls to union households and hundreds of members volunteered to knock on doors of union members urging them to vote on March 8,” said state federation President Michael Carrigan. Particularly prominent were union volunteers from IUPAT, SEIU, AFSCME, IBEW and the Letter Carriers. This victory signals the potential for a Democratic takeover of other Republican-held seats in Illinois. In the 10th CD, incumbent Republican Rep. Mark Kirk faces a stiff challenge from Dan Seals, an African American candidate running on an anti-Iraq-war platform. Kirk very narrowly defeated Seals in 2006. In addition, Democratic State Sen. Debbie Halvorson is running to fill the seat of Congressman Jerry Weller in the 11th CD. Weller, one of the most corrupt members of Congress, also announced he is jumping ship. Now, Halverson suddenly finds herself without a Republican opponent. New Lennox Mayor Tim Baldermann unexpectedly dropped out of the race after winning the Republican primary. Baldermann said the campaign was taking up far more time than he imagined, but the real reason may be he is having great difficulty scraping together money for the race.